As Christians we are called to care for one another with compassion, witness and service through fellowship as we love and care for one another. Often the kindest thing we can do is honor another with our time and attention. Second Presbyterian Church pastors and trained lay leaders visit individuals and families during challenging times. Our pastors, lay trained leaders and Care Corps members also provide follow up care if needed. We encourage you to let us know if you or someone you know is receiving medical treatment. Due to privacy laws, we are not notified by hospitals or doctors. We also ask that you make sure we know the legal name of the patient. Please call the church at (317) 253-6461. Second Presbyterian Church cares for one another. Our care is part of our DNA, created in the image of a loving and compassionate God – and it’s an enormous part of how we live as the body of Christ together. Sometimes our care for one another goes unnoticed because it is simply the fabric of our being. Other times, it shines, and we are struck by the Spirit’s presence and movement in our midst. Other times still, our care for one another is quietly at work respecting privacy and confidence. The Intercessory Prayer List is a confidential list that is prayed for weekly by the Intercessory Prayer Group and Second’s pastors and staff. You can share your requests for prayer by submitting a prayer card in worship, visiting SecondChurch.org/prayer, or contacting Rev. Madison VanVeelen. The Service of Communion and Wholeness takes place each Sunday morning at 10:35am in the Chapel. This intimate worship gathering is a special opportunity to be nourished by the Word and at Christ’s Table, and to receive prayer and anointing from a pastor. The Parkinson’s Support Group, Sticks, is for those with Parkinson’s and those caring for a loved one with Parkinson’s. This group meets on the first and third Wednesday of each month at 11 a.m. in room 112. Thanks to our Flower Delivery ministry, flowers from worship each Sunday are re-purposed into smaller arrangements and delivered by Deacons to those who are hospitalized or in rehab or nursing care. Care Corps is a ministry that trains individuals to walk alongside those who are experiencing hardship, loss, or other life challenges. Care Corps ministers are matched with one or more individuals who are in need of support. Do you have a need for prayer or care? Would you like to serve others through any of the care ministries named above? Please contact Rev. Madison VanVeelen, Coordinator of Pastoral Care, for more information at mvanveelen@ secondchurch.org, or (317) 253-6461. Is your child experiencing any of the following symptoms that you think might be related to a recent or past divorce? Excessive emotions: anger, happiness, fear, etc. New Day is a directional support group for families of divorce. Registration is required prior to attending. Please visit NewDayIndy.org for details, or call CenterPoint Counseling at 252-5518. A group to help parents of newborns ease into the life of parenthood. If you have recently had a baby or adopted a child, we’d like to help! Please notify Sue Jackson, SJackson@SecondChurch.org, if you have a new member of your family or if you’d like to help with the Welcome Baby Ministry Team. A dedicated and talented group of women knit prayer shawls for Second Church members and friends. Prayer shawls are a tangible reminder of God’s love wrapped around the shoulders of a friend going through a difficult time---such as illness or death of a loved one. These colorful shawls are knitted with love and care by Second members. The knitters usually do not know who will receive the shawl, but weave God’s love into each one. To symbolize the congregation's commitment to a newborn and their parents, the knitters create baby booties. The prayer shawl ministry knits hats for the college students. If you would like to receive a shawl, or if you are interested in knitting one, please contact the church office at (317) 253-6461. This group for those who are grieving offers a shared time to process loss. We are companions to each other as we walk along this challenging path. 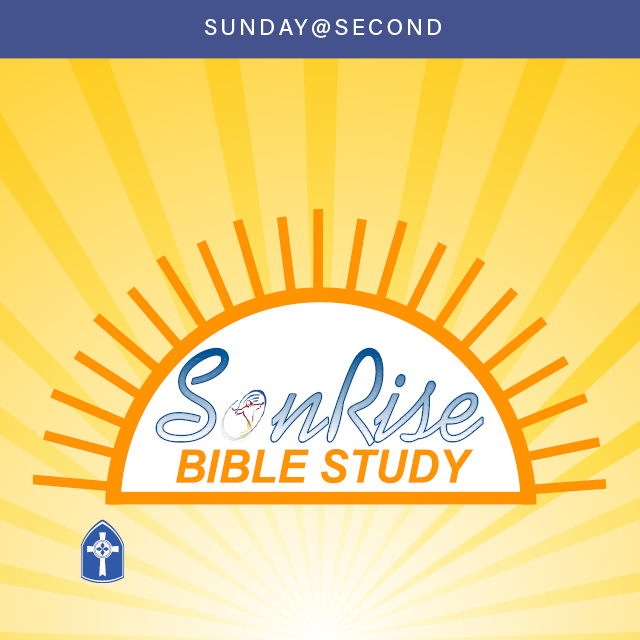 We invite you to join us after church on the first and third Sundays of each month. Come once or every session as your schedule allows. In the meantime, please check out this resource for those who are experiencing grief or mourning. For more information, contact Rev. Marsha Hutchinson, (317) 508-3653. The Parkinson’s Support Group for those with Parkinson's and their loved ones meets on the first and third Wednesdays of each month from 11:00 a.m. to noon in Room 112. Visit The Michael J. Fox Foundation website for information about Parkinson's research and other resources. Groups are free, confidential, and open to people living with depression or bipolar disorder, and those who believe they may have one of these mood disorder. Family, friends and caregivers are also welcome. No registration needed. Contact group leader, Liz, at (317) 716-9853. Our pastoral staff is available for personal conversations regarding issues you may be facing. For more information, contact the church at (317) 253-6461 or stop by during church office hours. There will be a minister on-call available to speak with you.